CITYECONOMIST | Ten Most-Viewed Posts Since 2007. Thank You for Reading. December 30, 2017. Here are the ten most-viewed CityEconomist posts during the last decade, 2007-2017. There were no posts for two years in 2009-2011, when your blogger was in government employment. Thank you for reading. To subscribe to this blog, or its comments, or to search its contents or to forward it using G+, see the options at top right. JOBS | Which David Brooks Should We Listen To? VIEWS | 390K. Ten Most-Viewed Posts in December. Thank You for Reading. Guadalajara, December 30, 2017 – Thank you for reading this blog. We just passed the 390,000-view mark. Next stop: 400,000. FOOD BIZ | Do You Think Restos Have Genders? Please let us all have the benefit of your thinking by commenting on any of these posts or contact us at info@cityeconomist.com or john@boissevainbooks.com. FOOD BIZ | Are Your Restos Male or Female? twelve) at Lula Bistro in Guadalajara. Guadalajara, Mexico, December 29, 2017 – What do you think? Are there male and female, yang and yin, restaurants? Caroline picked out several of the best restos in Guadalajara for us to visit during the interlude between Christmas and New Year's. We started with Lula Bistro and El Hueso. We had different views about whether they could be identified by gender. Can you add to this discussion? The first place we went was Lula Bistro (lulabistro.com, +55-33-3647-6423). It is beautifully decorated with modern fixtures and indirect lighting. The atmosphere is hushed and respectful of the hard work going on in the kitchen to prepare its three tasting-menu options. We passed up the 12-tiempo (course) tasting menu and opted for the six- and eight-tiempo menus at MX$850 and MX$1,200 (US$40 and US$60). Pescado del Día, Ensalada de Betabel, Pulpo a las Brasas, Pescado Miso, Cheese Cake de Queso de Cabra Orgánico, Sinfonía. Each of the items on the list is either a mélange of several other items as in the photo above, or is decorated with delicate sprigs or shavings or dollops or gorgeous edible flowers. What was not to like? It was fascinating to examine, and not one bite was a disappointment. It was healthy, as well. Despite the number of courses, the total calories for the six-tiempo menu I estimate were well below 1,000. 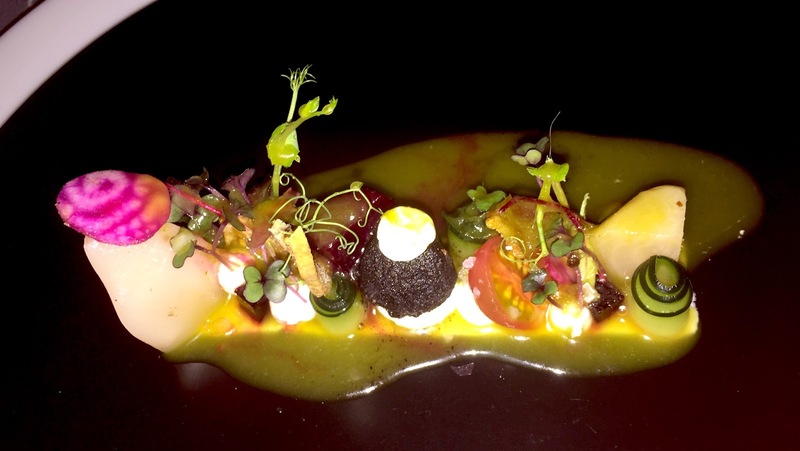 It well deserves its self-description, Alta Cocina (Haute Cuisine). We could all have handled the 12-course menu, though none of us went away hungry after the shorter repasts. Caroline asks questions of the helpful waiter. The next evening we went to El Hueso (huesorestaurant.com, +52-33-3615 3591). The name is Spanish for "The Bone". The entire restaurant is decorated with animal bones that were found in the desert, whitened by the sun. Those not used to decorate the walls are piled in boxes and under shelves all through the restaurant. You could say it's different! Customers sit at long tables and the general atmosphere is conducive to talking with strangers, as at a club table. We were surrounded by non-English speakers, all of whom were friendly and communicative nonetheless. The atmosphere is that of a rural wedding feast, as the diners are not reluctant to express their high expectation for their coming food and drink. Main course on the table. Instead of multiple courses per person, we were advised to consider each menu item as a portion to be shared by two people. So the four of us (we were joined by Steffi) had two appetizers, two main courses and two desserts. In contrast with the day before, these shared portions were more than we could eat. The two starters were Pulpo Adobado and Tomato Salad. The two main courses were Rack de Cordero (Lamb) and Cabreria (an unusual cut of beef close to the bone). Despite sharing each of the three courses, we probably consumed 50 percent more calories than the evening before. anticipatory look at the rack of lamb. The Lula Bistro looks like a yin resto. Emphasis on the appearance and delicacy of the food. Many small items. Respectful atmosphere. Dignified serving. High class. A good place for a guy to take a woman he wants to impress. Oh, btw. Lula Bistro was sparsely attended. El Hueso was full. 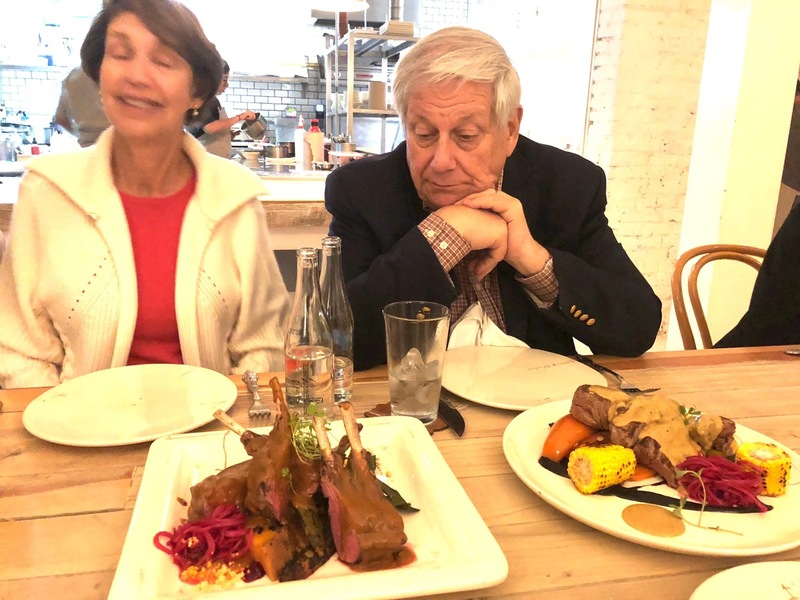 Postscript: We all had dinner again tonight, this time at La Docena, which is rated one of the 50 best restaurants in Latin America. 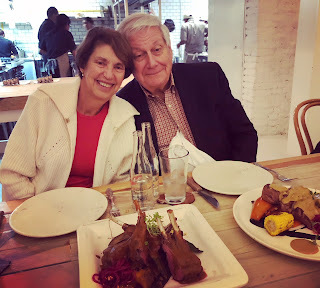 Caroline has dined at their Mexico City restaurant. Caroline read my post above and said that it is an over-simplification to call a restaurant yin or yang. She said the décor at Lula Bistro was yang (masculine) and many of the presentations at El Hueso were yin. Of course, she is a true expert on the food biz and she is right. As Carl Jung said, there is an image of a woman (anima) inside every man, and an image of a man (animus) inside every woman. When I say a restaurant is yin or yang, I should be more careful and put it all in terms of which gender predominates. Is the distinction between yin and yang in ambience and cuisine useful for you? To subscribe to this post, or its comments, or to search its contents or to forward it using G+, see the options at top right. TECH WARS | Have You Noticed? 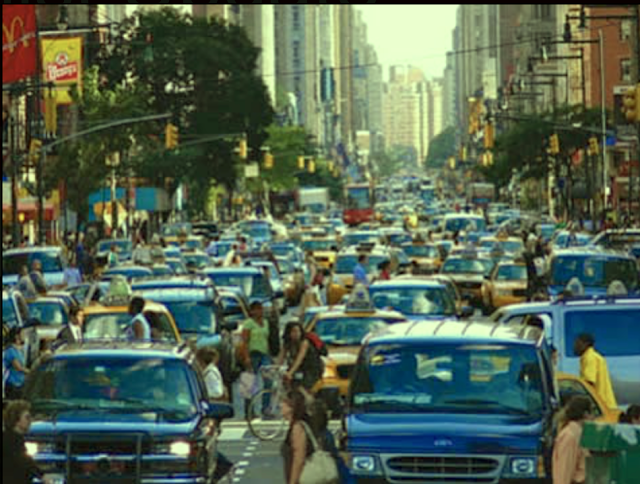 Taxis+Uber+Lyft=More Congestion! down from 6.5 mph five years ago. My friend and co-thinker David Hochman instantly chimed in to say that he had the same perception. We got some pushback on this idea. We decided to wait for data. If you saw the same thing, guess what? We were all seeing straight. 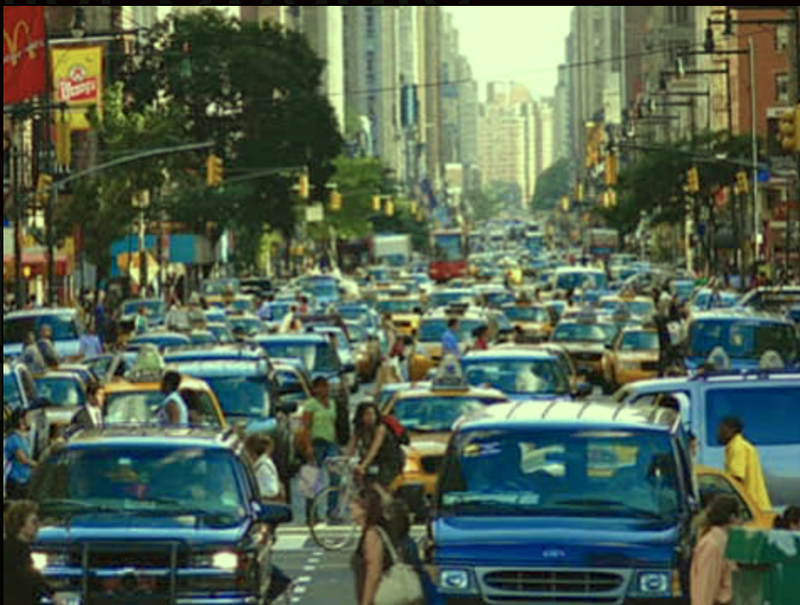 A few weeks ago, a study concluded that Uber and Lyft are indeed creating more congestion, more trips, more miles. Objectively, midtown traffic speed is measured at an average of 4.7 miles per hour, down from 6.5 miles per hour five years ago. 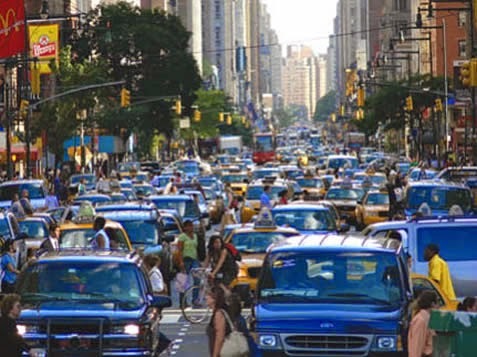 Support has grown for rules or charges to discourage cars from coming into the most congested parts of New York City. One approach is a Pigou Tax such as has been introduced for sugary soda and cigarettes. The lobby of my building in Chelsea is right now being torn apart to make room for packages. Residents are having to walk through the basement entrance. Why? Because when the building was erected in the 1960s there was no space allocated for packages and the cabinet space that was added a decade later wasn't sufficient. Now the storage space is being expanded ten-fold. Some buildings in Manhattan just a few years old are already overwhelmed with the packages. The number is now up to 103,000, double the 47,000 figure for 2013, says the Taxi and Limousine Commission. Of these vehicles, 68,000 are affiliated with ride-hailing app companies, including 65,000 with Uber alone. businesses affected by the congestion of heavily trafficked streets. The same disruptions are taking place for retail stores, housing renters and others disrupted by the wonders of new technology. The inconveniences have knock-on effects for owners of commercial and residential property. This conflict is not new. If you come back to this blogsite in the next few weeks, you will find more posts under this hashtag (#TechWars). You will see how the conflicts have played out in many industries where technology has changed. This may serve as a guide to what we may expect during the coming years. The general theme is that the introduction of new technology requires a period during which the technology is tested and during which natural enemies emerge. For example, using engines on ships was fought by sailors. Railways and cars and tractors were resisted by breeders and outfitters of horses. Photography was resisted by artists. These days, Uber is fought by cities and taxi owners, and by competitors. Yet Uber has a database that could be enormously helpful in planning for new transportation initiatives. Invention is only half the battle. Getting the technology accepted where it replaces existing industries is the other half. Marconi spent his life battling the wired-telegraph companies, and the telegraph companies were largely successful in slowing down the introduction of wireless telegraphy. Where Marconi's invention succeeded was in a whole new area that he had not foreseen, namely broadcasting. The period during which new technologies are tested against old ones can be called one of symbiosis. Sometimes the new technology never completely replaces the old one. Gas never completely replaced wood and coal as fuel. Electricity never completely replaced gas. You may be interested in some of the implications of all this... Stay tuned. Postscript 1 (January 2, 2018): The Wall Street Journal predicts that a plan for congestion charges will be included in Gov. Andrew Cuomo's State of the State speech. Postscript 2 (January 14, 2018) The New York Times reviews the growing number of private transportation options for commuters. To subscribe to this blog, or its comments, or to search its contents or to forward this post using G+, see the options at top right. Of all the puzzles posed by the tax bill now before the Congress, the impact on homeownership is the hardest to fathom. The bill reverses one of the major thrusts of Margaret Thatcher's administration in Britain, to use greater homeownership through right-to-buy programs to expand the ranks of the Conservative Party. Thatcher became leader of the Conservative Party in Britain in 1975 and became Prime Minister in 1979. She therefore led a conservative-laissez faire revolution in the 1970s that in 1980 returned the White House to the GOP by electing Ronald Reagan President. Thatcher presided over large-scale selling off of Council Housing to the people who lived in the the rented homes. Her goal was to make them into homeowners who would care about their property... and vote Conservative in future elections. The tax bill before the Congress removes incentives for homeownership and tilts the playing field toward renters. An astonishing reversal of a Thatcher program that has been widely viewed as brilliant. The following is from Dana Chasin in Washington, reposted by permission. (I am in Washington this week as well.) This is his Update 235 on Washington legislation. This afternoon at the White House, President Trump made one last pitch for the Tax Cuts and Jobs Act. Up on the Hill, conferees met to continue trying resolve differences between the House and Senate bills. Even as the process is well underway, the conferees know that Americans have picked up on the fact that their promised tax cuts are turning out to be rebates that dwindle over ten years through a series of sunsets. When will the initial tax cuts sunset? Who then gets the tax hikes that follow? How much does the middle class get in relief, averaged annually over the life of the law? How many middle class taxpayers are looking a tax hike? This afternoon, Republican tax negotiators from the House and Senate met to hash out differences in the GOP effort at sweeping reformation of the nation’s tax code. Unsurprisingly, the meeting was conducted behind closed doors. Republicans point to an ambitious timetable for keeping negotiations out of the public eye, but just as important is the tax bill’s overwhelming unpopularity. 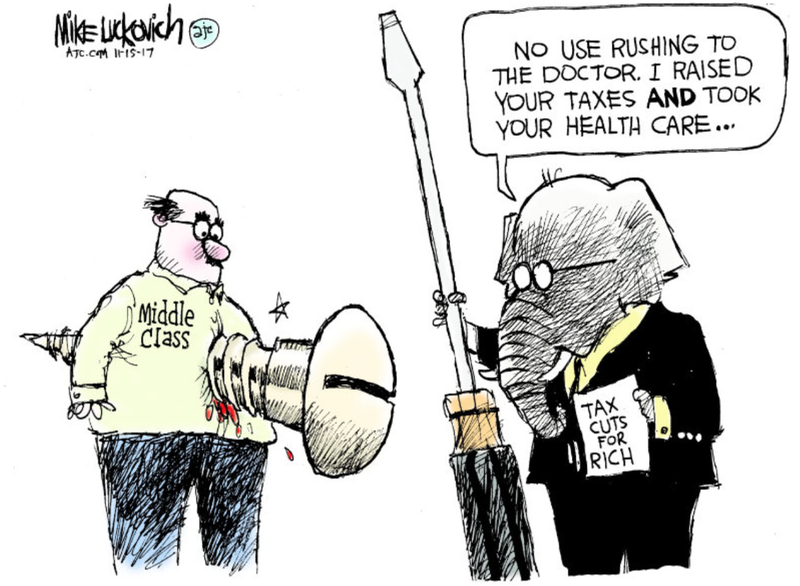 Republicans made grand promises in their sales pitch to the middle class. Americans were told the average middle class family of four earning $59,000 per year would see a tax cut of $1,182 – more than $11,000 over ten years. Even today, President Trump repeated the claim that corporate rate reductions will generate $4,000 in new annual income per household. Simply put, the public is not buying it. As negotiations have worn on and details of the bill have emerged, public support for the bill has plummeted. The bill would send trillions of dollars to the country’s largest corporations and wealthiest income earners. As of now, the nation’s top income earners would see their individual tax rate fall from 39.6 percent to 37 percent. Corporate taxes are slashed more severely, falling from 35 to 21 percent. Those in the middle and working classes would see their taxes increase. As a result, the Republican tax plan is now less popular than the tax hikes passed under Presidents Clinton and H.W. Bush. That the GOP has managed to make tax cuts less popular than tax hikes is signal. The majority of Americans sees this Republican chicanery as a massive reverse transfer payment financed on the back of the middle class and generations to follow. Republicans included a number of short-term provisions in order to improve their bill’s distributional optics, but most of these concessions are written in disappearing ink. While GOP lawmakers were sure to make corporate handouts permanent, many of the individual rate cuts and tax credits disappear by 2025. The increased medical expense deduction disappears after 2018. The expanded Child Tax Credit, which Sens. Rubio and Lee loudly pushed for, expires after 2024. One of President Trump’s favorite provisions, the doubling of the standard deduction, also expires after 2024. Bottom line: the average family will receive nowhere close to $11,820 in tax relief over the decade ($1,182 times ten). What starts out as a $1,182 cut in year one transforms into a tax hike as deductions expire and individual rates reset. By 2027, the wealthiest one percent of Americans will receive an average tax cut in excess of $27,000. That year, the bottom 60 percent of wage earners will face an average tax hike of $160. In the end, an estimated 87 million families -- almost 40 percent of taxpayers -- will see their tax liability increase. Per the Institute on Taxation and Economic Policy, 19 states would pay more overall in taxes. In 14 states, over 1 million taxpayers will face a tax hike. The individual mandate penalty repeal alone is expected to increase premiums by 10 percent. This provision would also increase healthcare costs for the 13 million Americans who will lose health coverage as a result of mandate repeal. A new Chained-CPI measurement of inflation that would push filers into higher brackets more quickly. And still worse; the deficit increase of $1.4 trillion has already initiated talks in GOP circles of automatic cuts to critical social programs -- including $25 billion in Medicare cuts in 2018 alone. At first Republican leaders promised their cut bill would not trigger Paygo cuts, but they have recently changed their tune. Sen. Rubio, Ways and Means Chairman Kevin Brady, and Speaker Paul Ryan have all linked tax cuts with welfare reform in recent weeks. Where provisions that help the middle class (the child tax credit, the doubled standard deduction, the rate cuts) are made temporary, provisions that hurt the middle class are made permanent. The sunsetting of individual rate cuts and other middle class credits and deductions pave the way for permanent business tax cuts. The long-term winners are corporations were the long-term losers are the bottom 60 percent. Wealthy Republican donors will appreciate the long-term 21 percent corporate rate, while middle and low-income Americans will see a little to no difference in disposable income and maybe substantial cuts to the government programs they count on. Look for the Conference Committee to conclude its work blending the House and Senate versions of the bill by Friday. 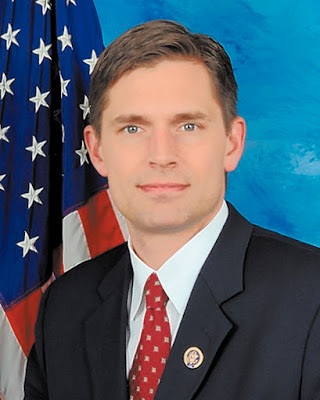 The bill will then move to the Senate first for passage most likely on Monday in order to ensure compliance with Byrd Rule budgetary restrictions. The House is scheduled to take up the legislation the day after it passes the Senate. The GOP’s ultimate goal is to have the final bill on President Trump’s desk as early as December 20. To subscribe to this blog, or its comments, or to search its contents or to forward a post using G+, see the options at top right. TAX BILL | Do You Consider the Tax Bill Immoral? Sen. Heinrich Does. Today, Senate Republicans passed their tax bill that harms working families, will blow a huge hole in the deficit, and I fear will lead to drastic cuts to vital programs in the years ahead. Yet again, our children and our communities will end up paying the price for irresponsible and immoral Republican tax giveaways. Under the Senate bill, nearly 28 million working families will face a tax increase by 2027. This bill spends money we don’t have on tax breaks the rich don’t need. The legislation adds $1.4 trillion to the national debt, an average of $140 billion each year in increased deficits, further damaging our long-term fiscal situation. Blowing a hole in the deficit to give tax breaks to the wealthy and special interests is the standard Republican playbook. Meaningful tax reform is a big, complicated, and complex undertaking. It doesn’t happen behind closed doors, and doesn’t happen with one party calling all the shots. We could craft a better bill that would lower taxes in a way that doesn’t add to the deficit. I urge my colleagues—let’s work together to find real solutions to health care, to tax reform, and to all of our nation’s challenges. For more information, contact Latoya Veal at Latoya_Veal@jec.senate.gov or 202-224-0379. New York City, December 2, 2017 — The Tax Bill has passed the Senate. Now the House Republican leadership will seek to take up this bill as passed, to avoid a long conference over the differences between the Senate and House bills. But will GOP Members of Congress accept all the changes that the Senate made to get to 50 votes? Will the House pass it by the looming December 8 debt-ceiling deadline? The Senate grants owners of pass-throughs a deduction rather than a maximum rate, zeroes out the individual mandate penalty, and retains a panoply of deductions eliminated in the House bill. The bill is unpopular. This is possibly the least-popular tax package that the Senate has ever passed. A Quinnipiac poll reports only 25 percent of voters approve of it. Representatives will all be facing their constituents in 2018, and many are concerned about how the tax bill will be perceived by voters. The December 8 expiration of the debt ceiling and the Alabama special Senate election create deadlines. If the bill is not passed by the House by the 8th, hostility to the bill's impact on the debt and on the GOP's electoral future could overwhelm it. Fiscal (Debt) Impact. Senators Corker and Flake threatened to revolt over the tax plan's debt impact. The standoff came after the Senate parliamentarian shot down Corker’s proposal to insert a “trigger” that would automatically increase taxes in the event the bill did not produce enough growth to cover its deficit impact. Earlier in the day, the Joint Committee on Taxation (JCT) reported that H.R. 1 would add $1 trillion to the debt, even after accounting of dynamic growth effects. The standoff sent leadership scrambling to find ways to raise revenue, but not enough for Corker, who voted against the bill (the sole Republican defection). Small Business Treatment. Republican leadership earlier in the week was confronted by Senators Johnson and Daines, who threatened to withhold their support unless more generous concessions were given to pass-through businesses. Both Senators have indicated their support after the bill was changed to increase the deduction for passthroughs from 17.4 percent to 23 percent. A 23 percent deduction translates into a maximum rate of 29.6 percent, based on the 38.5 percent top rate in the Senate bill. Republicans plan on paying for their generosity by increasing the size of the one-time excise tax on the repatriation of foreign corporate earnings. Property Tax Deductibility. Senator Collins, one of the last Republican holdouts, signaled support after announcing that leadership had accepted her amendment to allow individuals to deduct up to $10,000 in state and local property taxes, the same treatment as the tax bill that the House passed last month. Winning Collins’ swing vote came at a steep price. Eliminating state and local deductions is a key revenue raiser for the Byrd Rule-constrained Senate bill. Early indications are that Republicans have opted for keeping a modified version the Alternative Minimum Tax (AMT) in order to pay for Collins’ amendments. ACA Individual Mandate Repeal. Senator Paul raised eyebrows last month when he announced that the Senate bill would zero out the Affordable Care Act’s individual mandate. The provision was needed to buy Paul’s vote and raise perhaps $300 billion in revenue. It was a risky compromise. Senators Collins, Murkowski, and Moran have all expressed concern about the bill’s treatment of Obamacare. Collins indicated her support of the bill after getting promises on health insurance premiums, Murkowski signed on after an addition of ANWR oil drilling, and Moran never seriously dissented. McConnell's bargaining appears to have paid off. While Senators sparred over pass-through deductions and budget holes, few addressed the tax burden that will weigh heavily on the middle class following passage of this bill. The Joint Committee on Taxation’s “dynamic analysis” estimates only a 0.8 percent increase in GDP and just $408 billion generated from economic growth over the next ten years, while other reports provide even lower estimates. Reps. Ryan and Brady promised to save the average family of four earning $59,000 a year an estimated $1,182. But this works only for the first year of the plan. After that, the cuts decline and the Family Flexibility Credit is phased out and chained CPI (which indexes spending and taxes, slowing adjustment for inflation) reduces future benefits from what they would have been. 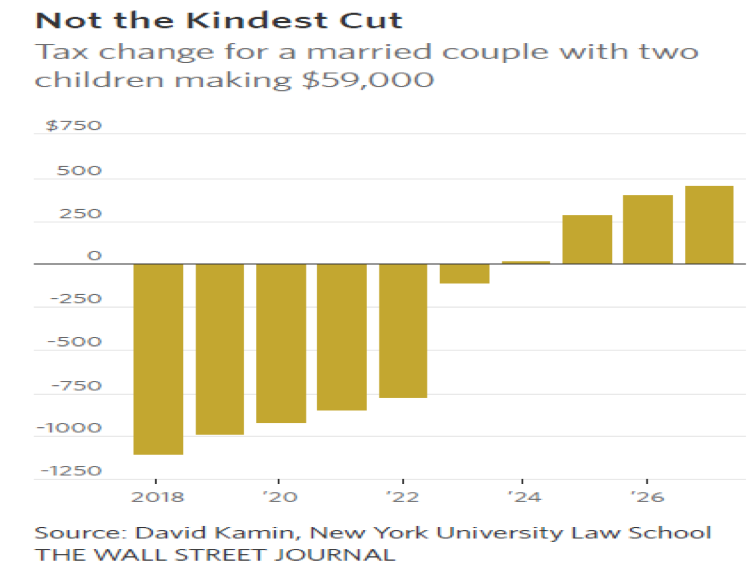 These families face tax increases in 2024, paying approximately $450 more by 2027. Furthermore, these hikes are expected to affect families earning less than $30,000 in 2019 and less than $40,000 in 2021. Senator McCaskill noted amendments from lobbyists bundled together as the Manager’s Amendment and geared to expanding pass-through and corporate deductions to various stakeholders. The chances of legislation that favors the middle class receiving such consideration appear bleak. That this unpopular tax bill could pass the Senate so quickly is astonishing. However, Americans won’t be filing under the new tax system, if it passes, until April 2019 and most Americans won’t suffer a tax increase until after the 2020 election. NEW YORK CITY | What Kind of Workplaces Treat You Best? Happy Workers. How Happy Are You? Crain's New York has issued another annual ranking of the "Best Places to Work". It may be found here: http://bit.ly/2AChpJx. I have sorted the companies by type of business. This shows clearly how much the list is weighted toward advertising, finance, law, marketing, real estate, technology – and their tech-age specialties. I have slightly changed some of the descriptions of the type of business to group together similar companies. The growth in software as a driving force for jobs, identified in the 1999 New York City Comptroller's report on software and IT, is still with us. 57 Construction Gilbane Building Co.
44 Construction management Clune Construction Co.
53 Law Adam Leitman Bailey P.C. 100 Public relations CooperKatz & Co.